This week Aaron and David welcome Captain Foley and Commander Cockings of the Trekyards YouTube channel for a Star Trek Discovery Roundtable discussion! 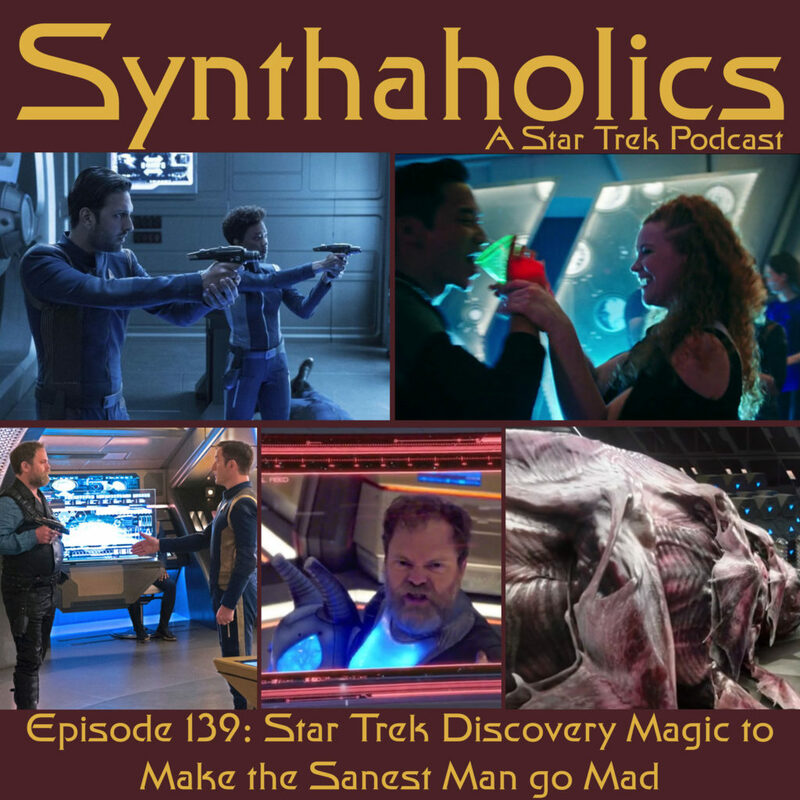 We all have had a week to digest and ponder the whole first season of Star Trek Discovery and have come together to discuss our thoughts and feelings on the show. As this episode is roundtable style its a bit more laid back and more conversational. 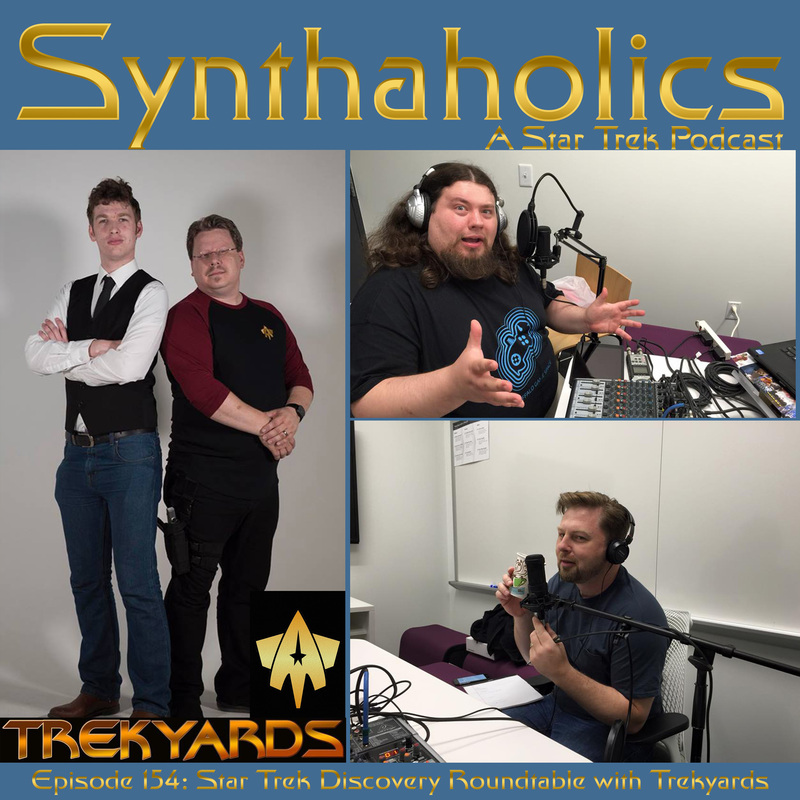 It was great discussing the Discovery as a whole with Trekyards. 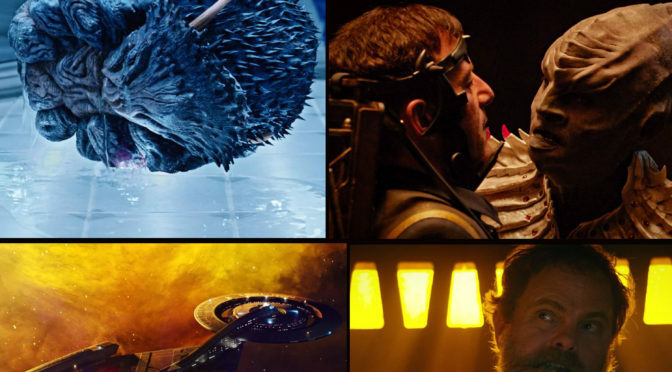 We also take turns at the end discussing what we would each do if we had the keys to Star Trek Discovery for season two. The future of the show is so very exciting there are so many places the show can go. We can’t wait to see what Star Trek Discovery has instore for the future! Grab a few drinks and join the roundtable it’s time for your weekly shot of Star Trek! 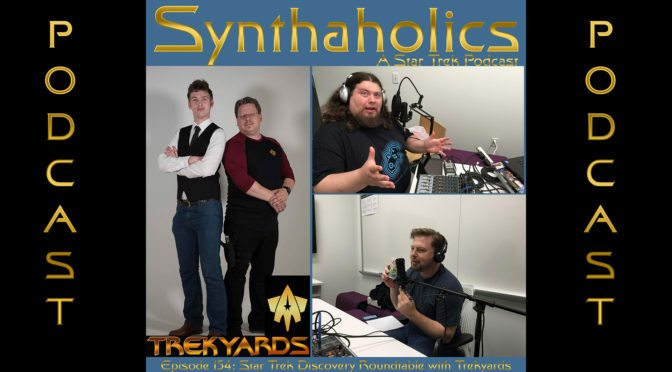 Please check out the links for Trekyards and Fleetyards on Facebook and subscribe to their YouTube channel for great Star Trek content. Mudd is back in episode seven of Star Trek Discovery “Magic to Make the Sanest Man go Mad”! Previously in “Choose your Pain” Mudd promised Lorca that he would have his revenge, and his revenge is had many times over. Aaron and David talk this week about how layered this episode is. 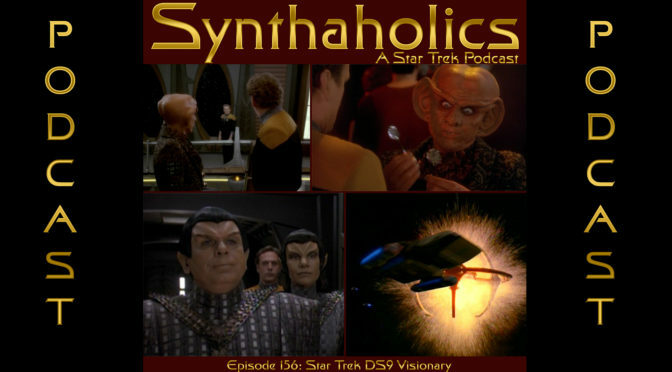 This episode has some basic story and visual cues back to the Star Trek the Next Generation episode “Cause and Effect” but there is so much more to this story then just the time loop. There is the why, the how along with some story threads that we didn’t really see coming. It’s time to practice your beer pong and find your space glowing green solo cups it’s time for you weekly Star Trek keg party! 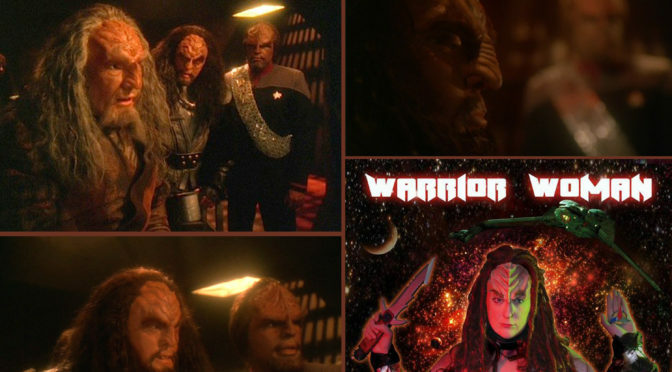 Jenbom the Klingon Pop Warrior returns this week to talk to us about Choose your pain! Jen gives us an update on her Extra Life campaign before we get into our mostly spoiler free first impressions. Once those are out of the way Aaron recaps the episode and we get into our in depth discussion. This week Discovery was so much fun we got a classic Star Trek moral dilemma and a TNG style rescue mission all in one episode! 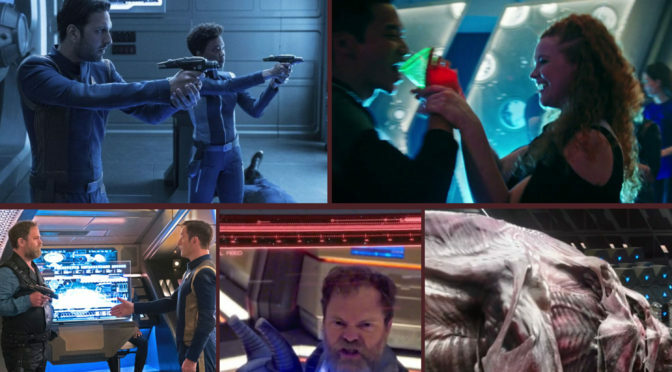 Star Trek Discovery continues to deliver amazing Star Trek week after week! 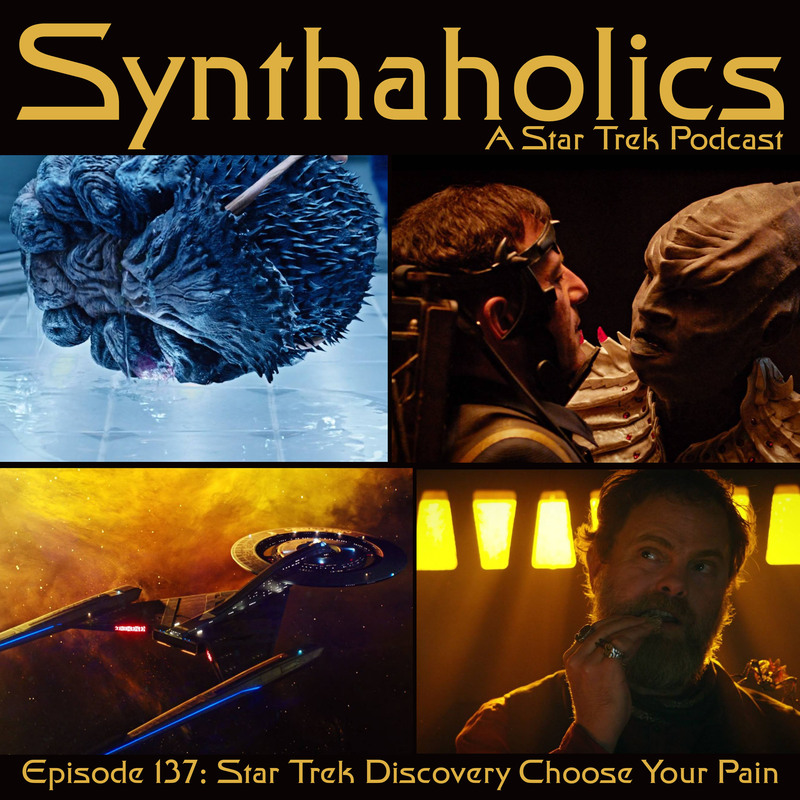 It’s time to choose your pain or choose your poison because it’s time for your weekly short of Star Trek! Please take a look at Jen’s website and follow her on Facebook and Twitter! 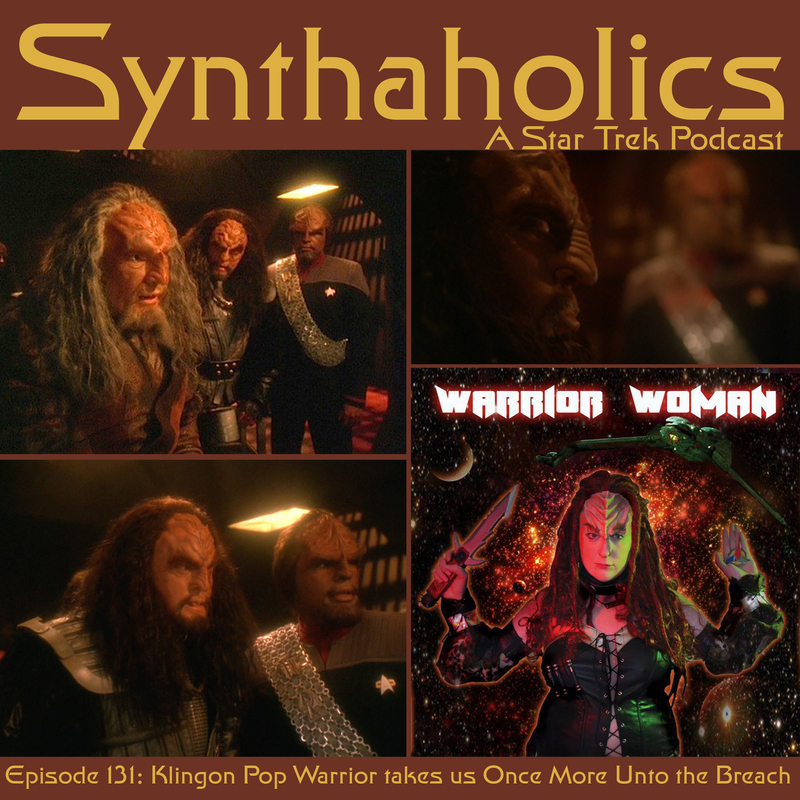 This week on Synthaholics Jen The Klingon Pop Warrior takes us Once More Unto the Breach! Jenbom our guest this week is the Klingon Pop Warrior. We ask her to tell her story to how she got into singing songs in Klingon. Jen also wanted to talk about the amazing Star Trek Deep Space Nine episode Once More Unto the Breach. Jen lets us know that even though this in an amazing episode there was only one real Klingon word in the whole episode. 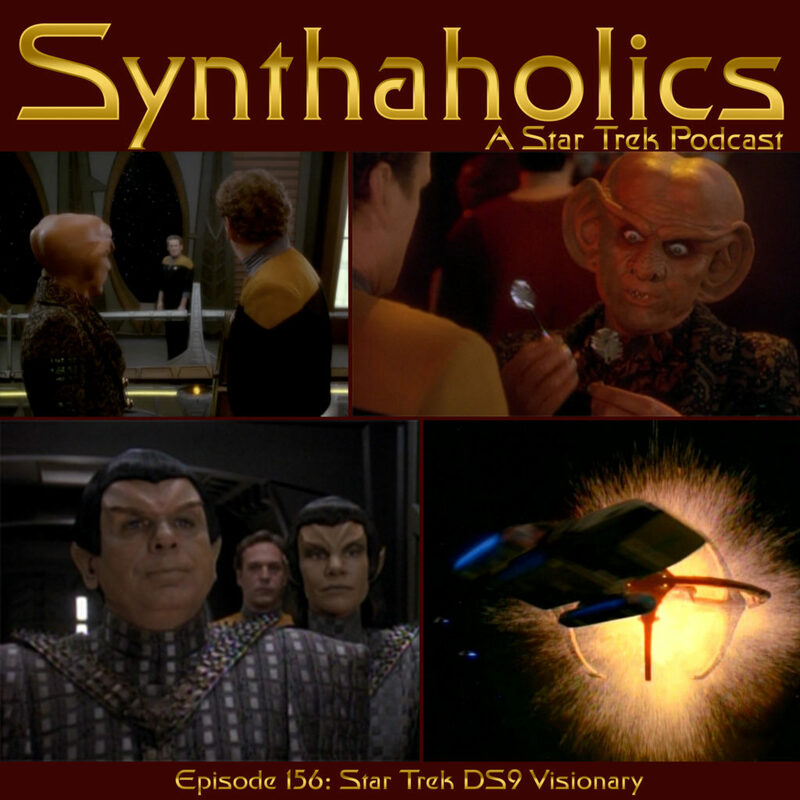 Once we recap the episode we talk more about Klingon. DuoLingo is adding Klingon to their app this month so we can all start learning Klingon. We also get Jen’s take on the Star Trek Discovery Klingons. Grab your favorite vintage of Bloodwine or a good cold glass of raktajino it’s time for your weekly shot of Star Trek! You can watch the HIchop music video at the below link. Sign up to be notified when Klingon is available from DuoLingo if that is something that interests you. Guy is back this week calling from the depths of space so we can get into the Embryonic Popsicle Saga better known as the Augment saga from Star Trek Enterprise season 4. Strap in as we cover all 3 episodes and talk about Enterprises own version of The Wrath of Khan. If you would like to rewatch these episodes before listening to our show the episodes are Borderlands, Cold Station 12 and The Augments! We have been talking about doing this episodes for a few months so we were all very glad to get to talk about this. We have also discovered how there was enough room on Klingon ships for humpback whales! Also Guy has some traumatic flashbacks to his Cheerios consumption for Star Trek! So find you finest Klingon, Orion or Augment strength drink it’s time for your weekly shot of Star Trek!